Over two and a half years, after the outbreak of the war, the volunteer movement in Ukraine has spread to such an extent that it has actually become one of the symbols of Ukraine. This movement involves thousands and thousands of people, and the merits of some of them are so great that they are known throughout the country. One of such people is Armen Shakhariants, a former military man, who lives in a small town of Yahotyn in Kyiv region. 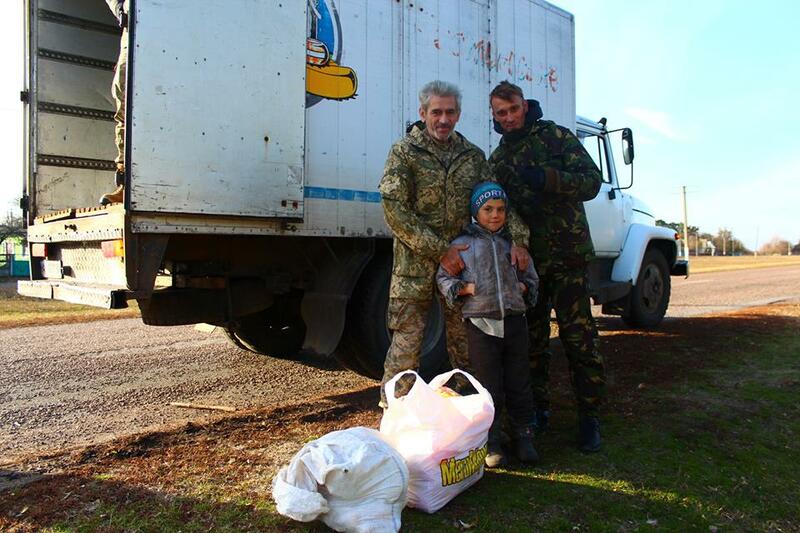 Since the very beginning of the Russian-Ukrainian war, Armen has been organizing humanitarian aid collection throughout the region to supply it to the front. He has sent loads of products, medicines, and equipment to the front over three and a half years of war. “In 2015, I dispatched 8-9 crews daily. Now it’s less: three or four a day. My only requirement is that the aid must go only to the front line. Neither to the rear, nor to military bases, only to the forefront. If I find out that this requirement is violated, I stop contacting these volunteers. All the aid I collect goes only to the front line. Why? Because it is more necessary there, because they do not steal there. But in the rear and on the bases they steal, sell, exchange for vodka. Therefore, I collect only for the front lines. Sometimes, if there is a possibility, I help the IDPs, sometimes I give food to a café providing free meals to soldiers, and sometimes I send it to a hospice where old people from Donbas live. But most of the aid goes to the front line,” says Armen. Today, a team of Yahotyn volunteers is going to nearby villages, to collect aid for soldiers at the front. 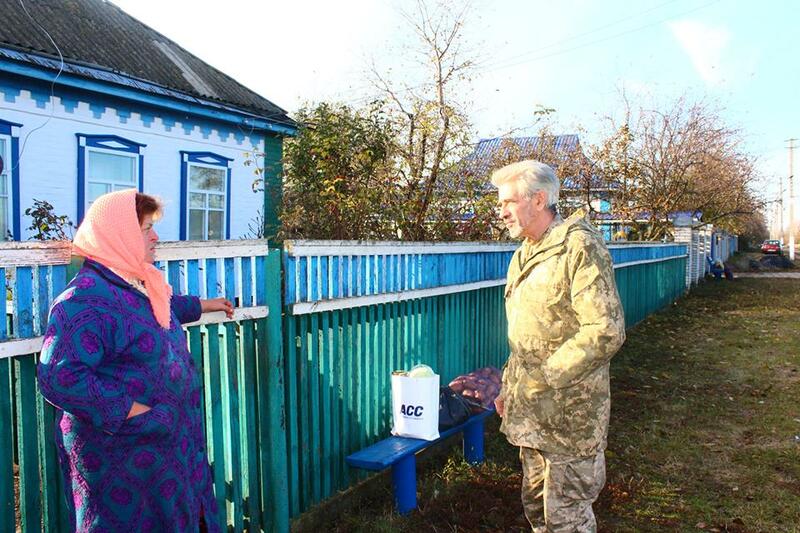 Villages in Yahotyn district are not very populous, young people leave for cities because there are no jobs; only elderly people remain and they survive thanks to their gardens and orchards rather than their tiny pensions. 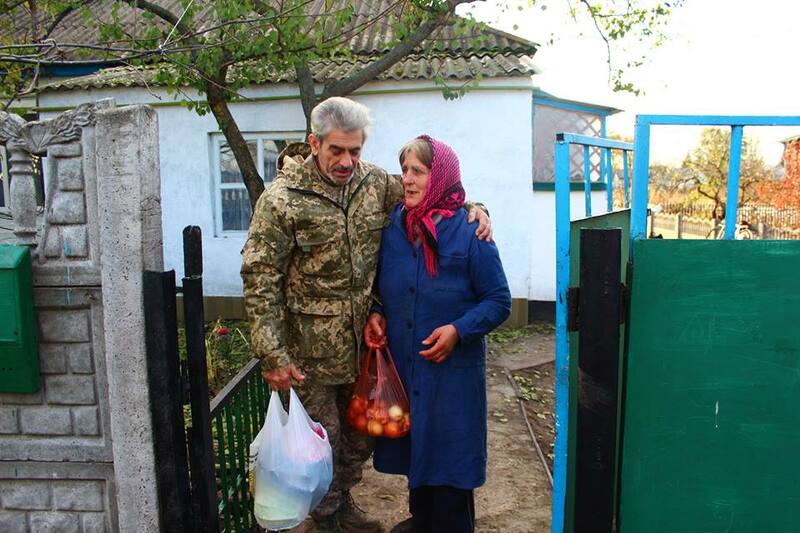 And they share with soldiers whatever they have: potatoes, onions, apples, home-made preserves. Oleksandr is waiting for volunteers a few houses further. He was a military man, and he knows how important the support of people they protect is for soldiers. He takes out several bags of potatoes and onions, bottles of milk from his cows. After the end of his service in Afghanistan, Armen moved to Ukraine. He opened his business in Yagotin. But when the war began, he devoted himself entirely to volunteering activities. In the last local elections, Armen nominated his candidacy for the post of deputy of the Kyiv Regional Council and won. Thousands of residents of Yahotyn district voted for him. The second, third, and fourth village …. The big truck given by the director of the Yahotyn dairy factory is filled quickly. Volunteers end their journey late, but they do not plan to rest. First they will deliver everything they have gathered to the logistics center. Then they will unload and sort it out. And later in the evening, the volunteers who are going to the front will come to the center. They will take part of the products and next day in the evening, hand them over to Ukrainian soldiers on the front line.